Powhatan, Virginia hosts Mill Quarter Plantation Golf Course, offering an 18-hole Championship golf course, practice facilities, restaurant and clubhouse. 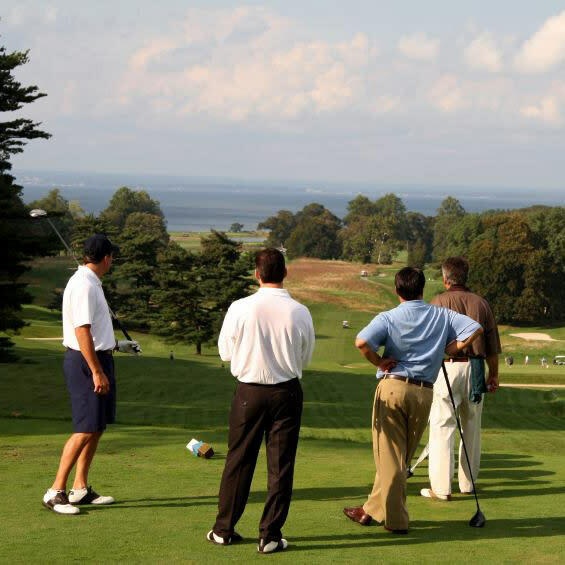 Mill Quarter is an ideal retreat for your next corporate golf outing or special event. The Mill Quarter Plantation Golf Course is an Edmund Ault design, nestled expertly into the rolling Virginia countryside. Mr. Ault carefully selected the golfing area from over 1460 of the most plush acres of the old Randolph Plantation; offering challenge to the most experienced golfers; yet unique fun to beginners. The course compliments its natural surroundings, being touched on all sides by tall pines, restful meadows, and lazy rural ponds of this historic Southern countryside. For the golfer who has to work late, we are equipped with a driving range where you can sharpen your skills or take a lesson from one of our P.G.A. Golf Professionals. Mill Quarter has an eager staff that is committed to providing you with customer service that will make your golf visit memorable.